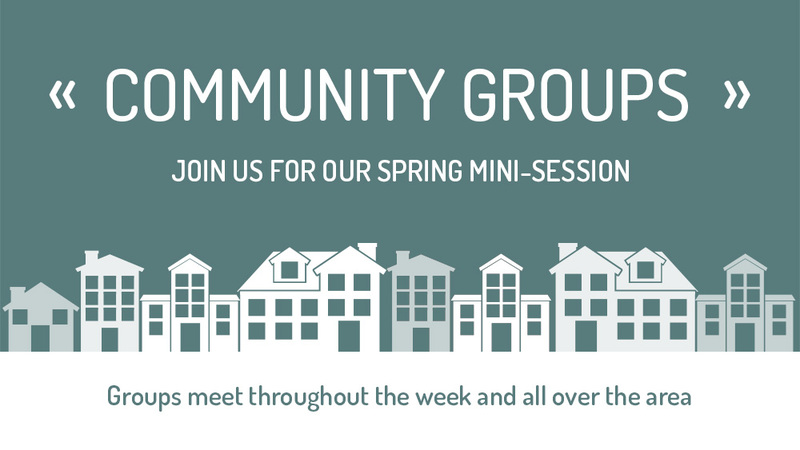 Having just wrapped up our study in James, our Community Groups will begin a new spring mini-session next week focusing on What Is a Healthy Church Member? by Thabiti M. Anyabwile, pastor at Anacostia River Church in Washington, DC, council member of the Gospel Coalition, and a lead writer for 9Marks Ministries. God intends for us to play an active and vital part in the body of Christ, the local church. He wants us to experience the local church as a home more profoundly wonderful and meaningful than any other place on earth. He intends for his churches to be healthy places and for the members of those churches to be healthy as well. This book explains how membership in the local church can produce spiritual growth in its members and how each member can contribute to the growth and health of the whole. If you've been thinking about joining a Community Group, now is a great time to check one out! We have different groups that meet during the week in homes throughout the Westside. Visit our Community Groups page to find a location and meeting time that works for you. *A $5 fee for the study book is requested. Pay online here or at your group. You can pick up a copy at church this Sunday or at your first group meeting. A collection of ideas, news, and event happenings.